Known to most only as "Asta's son," Crispin lives with his mother in a peasant village in 1377 England. When his mother dies, the village steward suddenly turns on Crispin, accusing him of stealing and naming him a "wolf's head" who can be killed by anyone on sight. When the priest who tries to help him escape is murdered, Crispin is alone in the world until he meets Bear, the last man standing in a village wiped out by the plague. Crispin pledges his loyalty to Bear, who teaches him to play music and ultimately helps Crispin uncover the true reason he is so despised. In this story, Avi narrows his focus to just one main relationship - the growing friendship between Crispin and Bear - and uses it as a vehicle to introduce the reader to details about the time period. Whereas the other medieval characters I have read about so far have been fairly well-off financially, Crispin is a peasant in the feudal system, and because of his poverty, this story is darker than any of the others. The story opens with his mother's burial in a pauper's grave, and things only get worse from there. This is not necessarily a problem, as the violent scenes in the story are never sensationalized, but it does strike me as odd that the author expects the same audience who is supposed to be too naive to figure out that Crispins's parents weren't married to also cope with murder and corpses. Part of my motivation for reading children's historical fiction novels is that I hope to homeschool my kids when they are of school age, and I need to become more familiar with history and historical fiction to feel like I have a strong head start. If I look at this book from a future Catholic homeschooler's point of view, I do have some problems with it. Bear and John Ball (the only real historical figure to appear in the book) have very relaxed attitudes toward religious faith, especially when compared with Crispin's own devotion to the saints and his disciplined prayer life. While I think it makes sense for characters like Bear to reject the tyranny inflicted upon them by feudal lords in the name of God, it bothers me that no differentiation is made between what Catholicism actually teaches, and the way Catholicism was twisted to suit the desires of greedy men. If I were to use this book in a homeschooling unit about medieval England, I'd want to make sure I shared the appropriate context with my kids first, and that their reading of the book did not create confusion for them about their own Catholic faith. 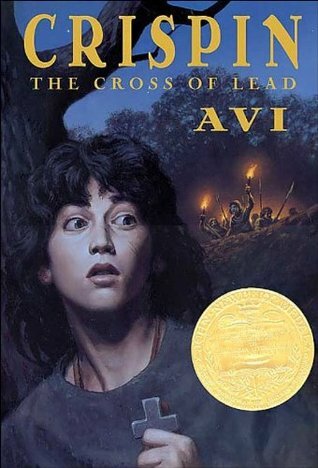 Crispin: The Cross of Lead is an exciting story, and it is likely to appeal to kids who want to read about adventure and danger, but it's not my favorite. There is not much character development, and often Crispin's behavior seems to change suddenly in service of the plot. While it is easier to read and written in a more contemporary style than Adam of the Road or The Door in the Wall, it lacks the emotional depth and detailed descriptions that bring the time period to life so well in those older titles. Had I read it on its own with nothing to compare it to, I'd probably have liked it more, but knowing what else is available, it would not be my first choice for introducing kids to the Middle Ages.